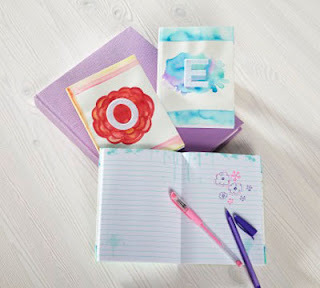 Michaels - Drop in for Kids Club from 10am - 12pm on Saturday, August 27th, where the kids will make an Journal Cover. Just $2 per child for 30 minutes of creative, craft fun – supplies included! Sign up in store or online, or just drop in. Space is limited. Parent or guardian must remain on premises during the event. From 1-3pm Michaels is hosting a FREE Planning with Michaels event as well. They will supply the supplies, but you bring your planner. Learn how to make a fun pom pom paperclip. If you are planning on shopping while you are there don't forget your 40% off a single regular-priced item coupon. Or online use the promo code: CRAFTHAUL16. Plus, get 20% off entire purchase including sale items thru 8/27 with code: 20AUGUST2816. If you order online you can also get 2-day $2.95 flat shipping with code: SHIPAUGUSTW thru 8/27.